Apparently, tai chi is all about internal energy flow, but the only energy I’m channelling is nervous energy. How much of a goose (or perhaps that should be crane?) am I making of myself? But I don’t care. I feel enormously privileged to be invited to join a tai chi session in Bangkok’s Lumpini Park by people I don’t know, don’t share a language with and will probably never meet again. 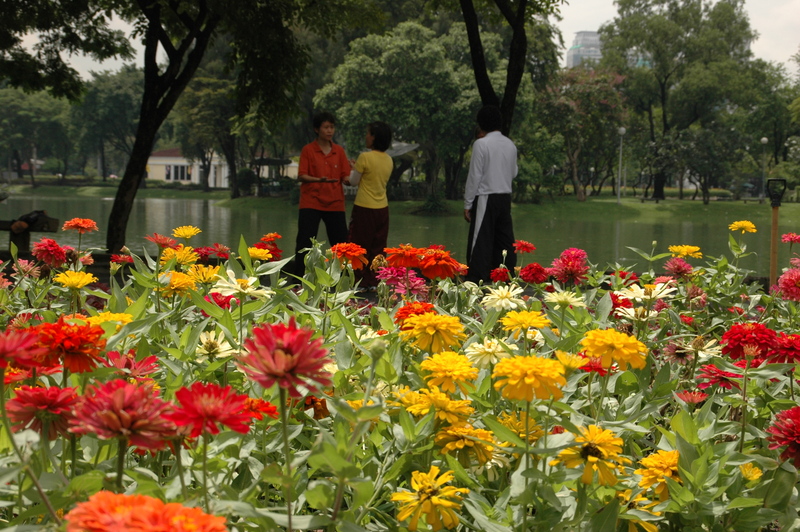 Lumpini Park is a green oasis in the heart of Bangkok. Like New York’s Central Park, it’s a place for exercise, relaxation and recreation. 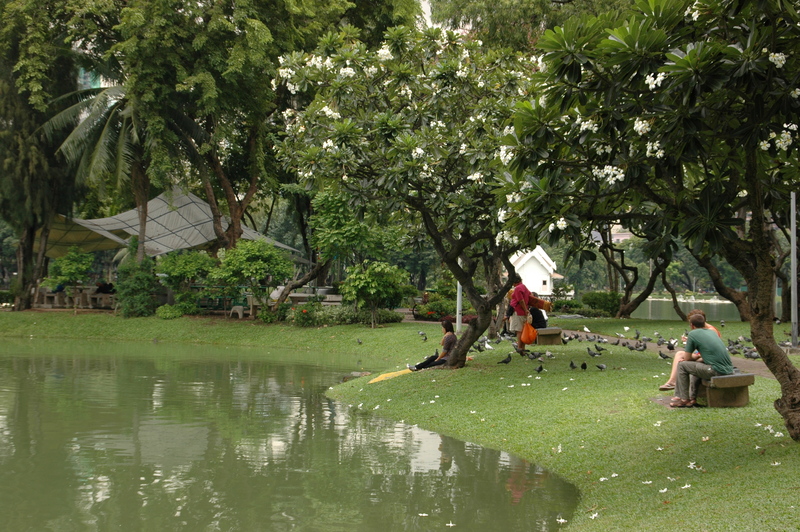 It’s also a great place to escape the heat with its shady trees, artificial lake and trickling fountains. Every morning the park is filled with people meditating, socialising and exercising – from ballroom dancing to sword fighting. On an early morning walk from my hotel, the Sofitel So Bangkok, I stop to admire a group of women practising tai chi when, with hand gestures and encouraging smiles, I’m invited to join in. 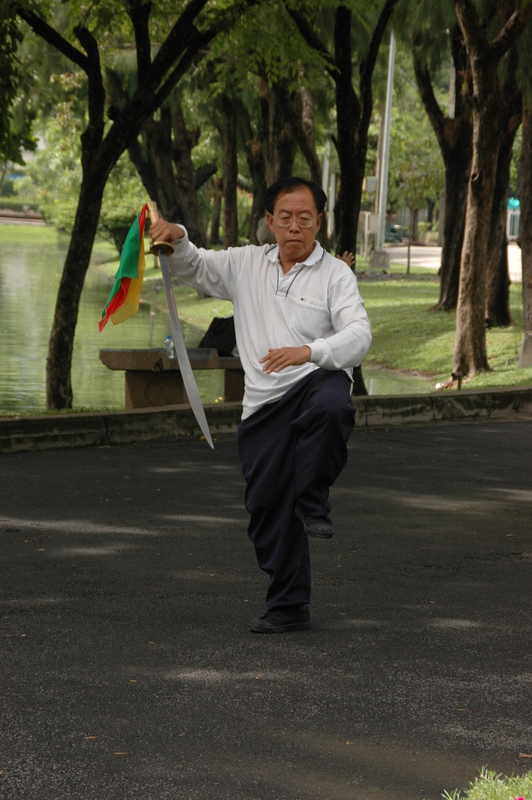 While it looks simple, tai chi takes concentration and control. I lack the fluid movements of the leader as I cross my arms the wrong way and turn in the wrong direction. My ‘White Crane Spreads Wing’ is more ‘Black Bird Dies Slowly’. But the grins of appreciation at my clumsy efforts have me brimming with pride. Hmm, the energy flow of pride – that’s probably not quite the tai chi philosophy, but I certainly feel good on the inside. And it’s a lovely way to start the day in Bangkok. 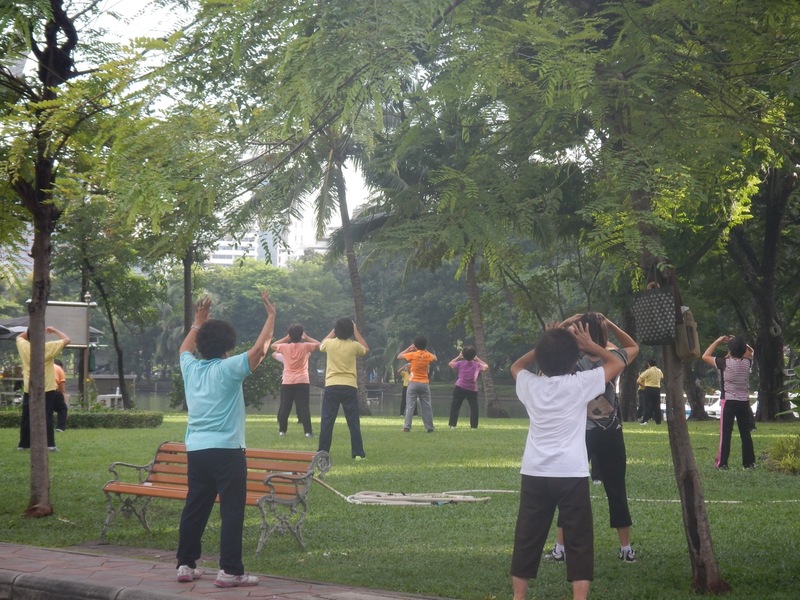 On your travels have you ever spontaneously joined locals exercising in a park? I’d love to hear your stories. 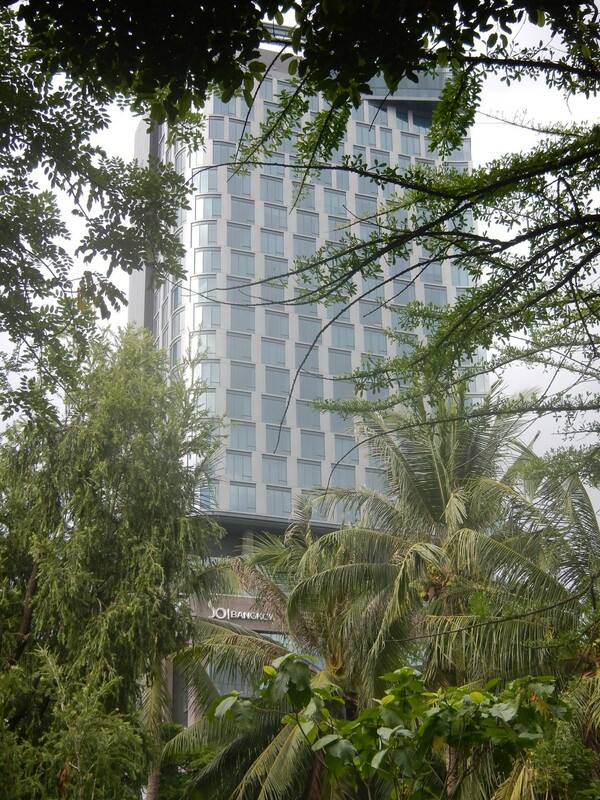 Disclaimer: I travelled to Bangkok as a guest of Accor Hotels. This story first appeared on the Get Up & Go magazine blog. Briar Jensen is a Sydney-based freelance travel writer. In her blog, Briar's Travel Beat, she shares her travel experiences to inform, entertain and inspire. 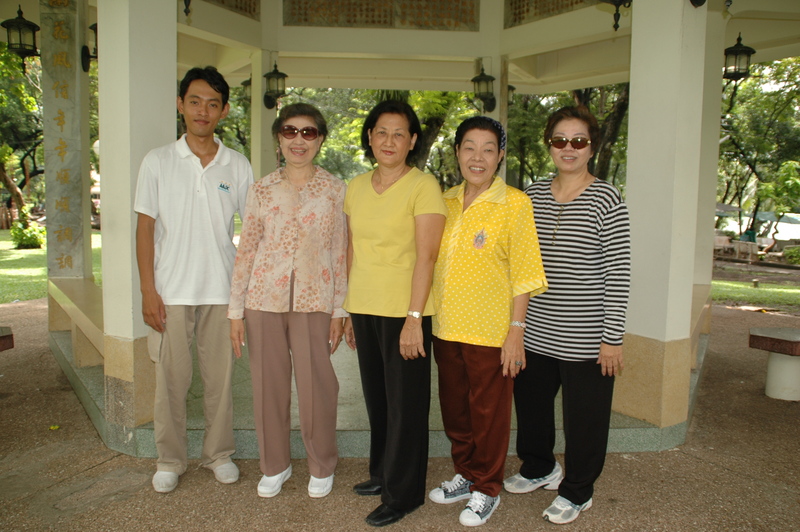 This entry was posted in Accommodation, Bangkok, Thailand, Travel and tagged Lumpini Park, Sofitel So Bangkok, Tai Chi. Bookmark the permalink. How cool! I wanted to join in in Taipei but I was too chicken. Next time! Oh, what a shame Amanda! they are always so welcoming when they realise you might want to join in. I even joined in morning ballroom dancing once in Bangkok too! Only my partner was much better than me. I’ve been invited to share tea too from a complete stranger in the park. So lovely! What a nice thing to do in a new city! Certainly is Julie! You don’t need a shared language to share the fun! Great article, I throughly enjoyed reading this and Bangkok is one of my fav cities. I’ve just booked a stay in the Sofitel hotel like you so hopefully it’s as good for me too. Thanks Rhys, glad you liked the article. I love Bangkok too, as you can probably tell! Great to hear you are staying at the Sofitel – such stylish themed rooms and smartly-attired staff. Hope you enjoy your stay. let me know how you like it. (You might also like my post on Bangkok’s Chatuchak Market – I adore that market!) https://briarstravelbeat.com.au/2014/10/07/stolen-identity-not-this-time/ Safe travels Rhys. Hi, I’m heading to Bangkok on 18th (yay 2 days) and plan to go to the park. Did you go through the largest gate and turn left? Did you get there for 5.30 am? Which day of the week did you go? I’d like to try the Tai Chi yang style coz I’ve just recently started it here in Melbourne. Would be a shame to pass up the chance to do it O/S with the locals. Briar Jensen is a Sydney-based freelance travel writer. Her blog covers travel tips, reviews, insights and inspiration, travel accessories and gadgets.